Residenza Ca 'laRipa is part of an ancient complex dating back to 1791. 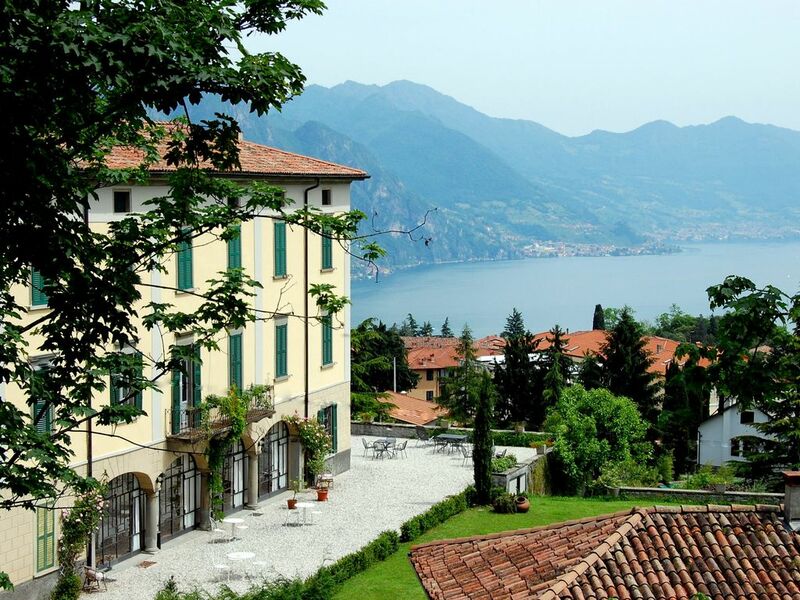 The apartment, overlooking Lake Iseo, was built following a refurbishment of the main building, with the aim of providing the most modern standards of comfort while preserving the original style and furnishings of the building. TV and Wi-Fi connection are included. We will be more than happy to provide you with all the information about the area and the surrounding area! My name is Maurizio and a few years ago, with my wife Tina, we renovated our old family house with the intention of providing that kind of hospitality we would like to receive ourselves when travelling. Recently, our son Andrea has also joined us. We welcome you to our place! Situated on a ridge side of a descending hillside descending towards Lake Iseo, the house offers breathtaking views of the surrounding area, in the praiseworthy setting of a family home dating back to 1791. FROM MILAN / BERGAMO: from Bergamo, follow SS42 towards Lovere; crossing Lake Endine; 8 km before Lovere, turn right towards Solto Collina. The resort is also reachable with public services. One of the highlights of Lake Iseo is Montisola, the largest lakeside island in Europe. The highly naturalistic area allows you to enjoy many sports and recreational activities such as horseback riding, mountain biking, sailing, kayaking, to name a few. In addition, cultural and historical contexts such as Lovere and Sarnico offer a wide range of concerts, shops, swimming pools and restaurants. Finally, the Camonica valley will surprise you with its Stone Age stone carvings and its mountains, where you can stroll or ski all year round.